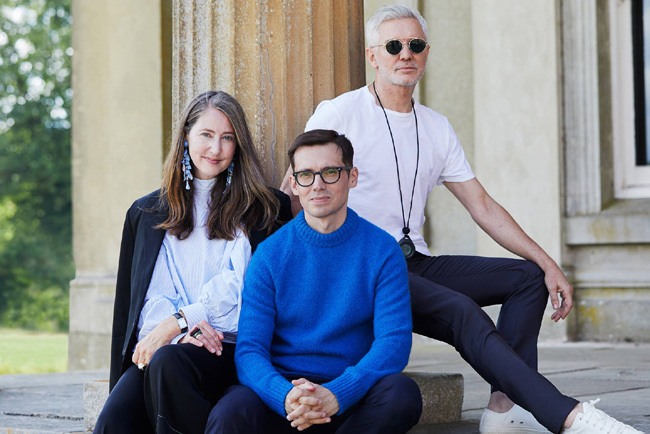 H&M reveals its big news: its next exclusive designer collaboration will be with ERDEM, the London-based label loved by celebrities and insiders alike. Designer Erdem Moralioglu is one of fashion's most romantic creators, whose exquisitely crafted pieces celebrate the power of beauty by exploring historical references and personal narratives. His dresses are red carpet favourites, worn by stars such as Emma Stone, Ruth Negga, Keira Knightley and Nicole Kidman. ERDEM x H&M will feature a full wardrobe of his famously feminine womenswear, an accessories line and, for the first time ever, a collection for men. His instantly recognisable design signatures have been there from the very beginning. “I love narratives,” he says. His thought processes lead to collections that are like time travel, connecting together different stories and seeing them from a 21st century perspective. He loves to create pieces that feel totally modern, yet as if they have existed forever. “I’m fascinated with things that you can’t tell if they’re 50 years old or 100 years old or completely new,” he says. What about flowers? Floral prints are in every single one of Erdem’s collections. The collection is still top secret, but what can he reveal about ERDEM X H&M? Erdem is known for his craftsmanship, which he is bringing to his H&M collaboration. It’s the start of a new chapter, one that will allow people from all around the world to be able to experience their own ERDEM story.